 Our Summit is the most inspirational and largest annual event in the field of peacemaking. It aggregates panel discussions among Nobel peace Laureates and representatives of the leading international organizations, media, business and government in open forums. It gives the opportunity for group and individual meetings with high-profile leaders from around the globe. It has dedicated Student´s workshops organized in collaboration with international organizations and Nobel peace Laureates. We share our networking of international and national students groups and young social activists, international delegations, elected officials and businessmen from around the world, promoting a unique discussion environment. The history of the annual World Summits of Nobel Peace Laureates dates back to 1999, the year marking the first Summit held in Rome at the initiative of the Gorbachev Foundation, an international NGO found by the former leader of the USSR. Since then, the Summits have gained an importance as a venue for exchanging opinions and as an event promoting international peace campaigns and initiatives and well as developing concrete proposals to tackle the planet’s emergencies for a world without violence. Each year the Summits are attended by Nobel Peace Prize Laureates and prominent global figures, who are active in the social, scientific, political and cultural arenas. – these are only a few examples of the topics debated during the Summits. • Reading a living book of history – direct access to the historical figures for educational purposes. • Opportunity to build and sustain a peaceful vision of the world. • We go beyond standard sponsorships and create unique opportunities for our sponsors to interact in one of the fields that form our goals. The Peace Prize has been awarded to 124 Nobel Laureates since 1901. • Participation of up 9 000 high school and university students. Where will be the next World Summit of Nobel Peace Laureates?